Herald: Where are they now? Time off for good behaviour. It’s tough out there. That’s especially true for journalists facing a shrivelling job market. 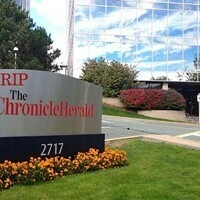 Right now, nobody knows that better than the dozens of newsroom employees cast-off from the Chronicle Herald last year. Back in December, president and CEO Mark Lever eagerly told the media there were only two “voluntary” layoffs, in contrast to the 25 percent reduction in staff originally announced on Halloween. But between buyouts, early retirements and resignations, the Herald still lost 19 talented employees before 2015. Much like The Coast did the last time there were cuts, we reached out to media pals trying to find out where the suddenly unemployed have settled. Unlike in 2009, it seems most newsroom employees have taken the time to enjoy their newfound freedom, rather than jumping into the world of of communications. Former Valley bureau chief Gordon Delaney, who took an early retirement, has been using the time away from newspapers to focus on his South Shore tourism business. Not that everyone’s resting. Plenty of Lee and Delaney’s ex-colleagues are still at the grindstone. 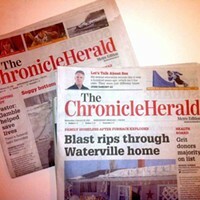 Former staff reporter Eva Hoare is now writing for AllNovaScotia.com. 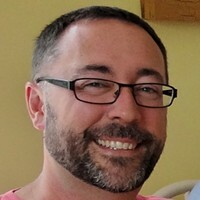 Ex-web editor Rick Conrad is busing teaching an online workshop at King’s. Reporter Selena Ross now has her byline up over at CBC. Susan Bradley—also former web editor—is finishing up some work for the Herald before she’ll join Michael Lightstone (one of the two “voluntary” layoffs) in the world of freelance writers. Look for Lightstone’s first piece with The Coast in a couple weeks. Former columnist Marilla Stephenson meanwhile took a $125,000 contract with the province’s office of planning and priority. And ex-South Shore bureau chief Beverley Ware is now a senior communications advisor with Nova Scotia Power. No word at the moment on what Ian Thompson is doing now that he’s stepped down as associate publisher. Liberal tax review dynamo Laurel Broten has stepped in as head of NSBI, which former deputy minister of economic and rural development and tourism Thompson was rumoured for Thompson’s other former job as head of NSBI. Herald Magazine, of course, lives on in our hearts. 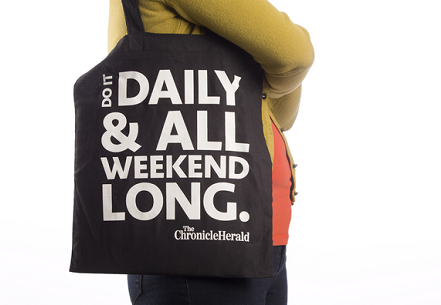 Why journalism in Nova Scotia is an endangered species. Newsroom staff get trick instead of treat.